This verse has comforted many Believers through many trials. If you are in the midst of a great suffering these words may not be enough to bring you comfort. You may not yet have come to a place where knowing that God has an intended purpose for your struggles is a comfort. I understand, I've been there. Even knowing that these assurance were written by Paul, a man who endured great physical suffering may not be enough. The desire to be humbled and made more like Christ is drown out by the physical or emotional pain of what you're experiencing. Perhaps you feel that you have passed beyond that hope. You have come to a place of dry, cracked, barren land where you feel utterly alone and bereft. Our heavenly Father is never absent from our pain. It is by His design that His Son willingly suffered so that He can sympathize with our weaknesses. At some point in your suffering a tide will turn. If you have grown numb, you will begin to feel again. If you have grown angry, you will begin to calm. If things have grown dark, you will begin to see. His love kept your heart from growing cold. His arms kept you from loosing control. He is the Light that pierces the deepest darkness. The hope remains . . .
until we are, once again, able to embrace it. Amen. With confidence we can pray to God knowing that Jesus suffered greatly. He truly gets it. Truly. And now He intercedes on our behalf. Love this, June. Such beautiful encouragement. Thank you so much for sharing. Blessings to you. Without the suffering my faith would not have much weight. Good insightful post. Your words illuminate my morning, darling, as usaul you can find the way to make of every day a good day ! This reflection is so timely for me right now. Thank you, June. Visiting from Deidra's place today . . .
Love the flowers, love the Words. Thank you for sharing so beautifully. June. It is a gift to reveal the heart of our Savior. It is a greater gift to do it in Word. Beautiful. I have learned so much through my seasons of suffering. As I look back, I can truly say that I am thankful for those seasons. Blessings! June, Such a beautiful blog. Suffering, whether mental, physical, or emotional brings so much clarity and closeness with our Savior if we will only take our eyes off ourselves and put it on Him. I believe this is what it is meant to do. If we allow it, it can build such great strength, character, and faith in us and sustain us over a lifetime as we draw on lessons learned. As Barbie said, she is thankful for those seasons of suffering. I have also gone through those years, though painful, I would not trade them for anything. My eyes are opened; God is forever front and center and we are at peace in Him. 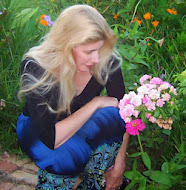 Blessings to you in your blog and books.